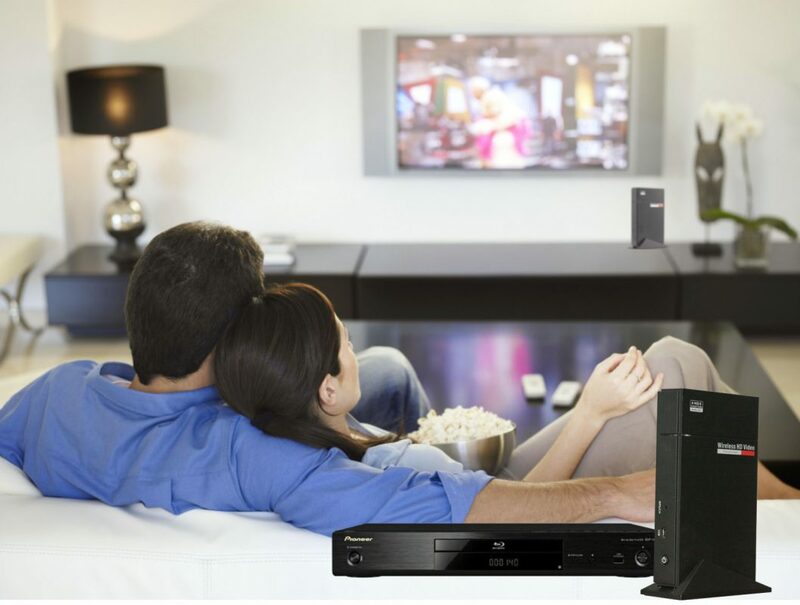 Support HD devices with HDMI Socket, include Blu-ray player, DVD player, PC, laptop and HDTV, etc. 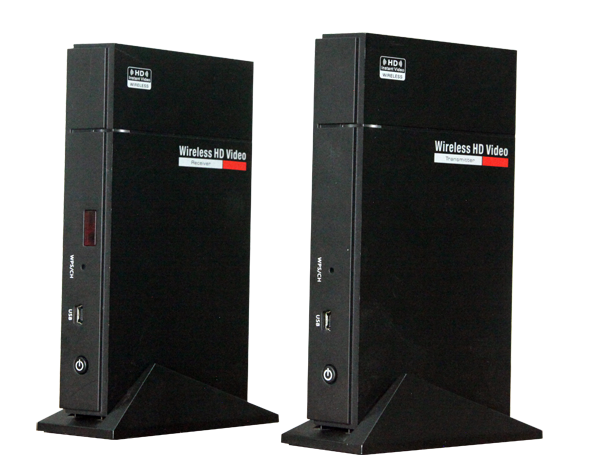 This wireless HD Video solution enables wireless transmission of audio and video from any HDMI video source such as PC/HDTV to display devices. The HDTV/HD Monitor has a 5GHz band, with very low latency. Power button for On/Off: Press for 2 seconds and the power is On. Press another 2 seconds to turn it off. 1. Locate the transmitter and receiver respectively on the base. * To avoid interference from other devices, please do not place any barriers near to the devices. 2. Connect the power adaptor to the transmitter and receiver, and connect the IR extension connector to the Output socket of transmitter, and put it properly in front of IR sensor area of video source. 3. Connect the transmitter to the video source device via HDMI cable, then power on the transmitter and video source device. Connect the receiver to the video display device, then turn on the receiver & display device, make sure the network and the video are connected properly, the Green light will be ON. 4. 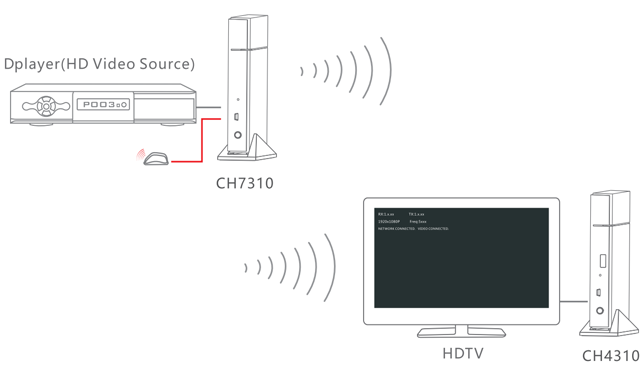 Wait for the system starting, and the screen will display text”Connecting to CH7310.”then the images shows up, which means the product is working properly. 5. 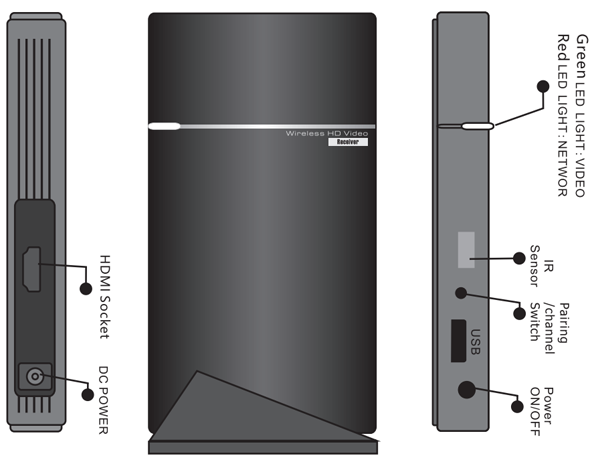 When the system working properly, user can use the remote controller of HD player at the HDTV side. 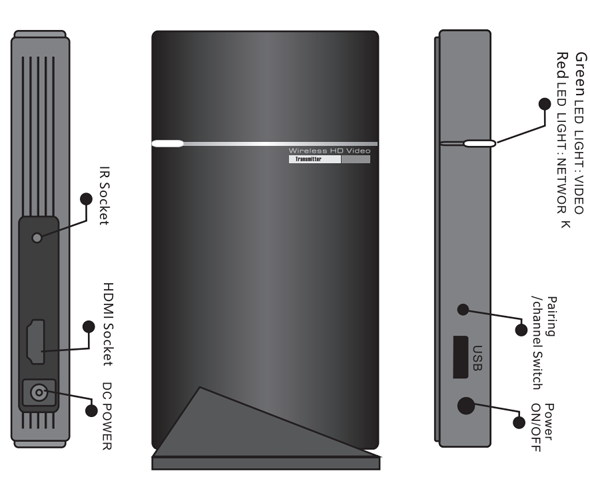 the remote controller should be aligned to IR sensor window of CH4310. 6. While connected, user can press the Channel Switch of CH7310 to change to other channel for better transmission. (1) Remote extension connector only supports 38~56 KHz remote’s signal protocol. 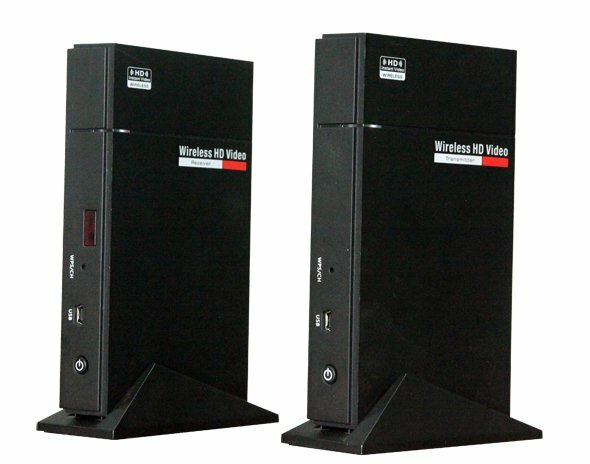 (2) Please make sure the Wireless HD Video Transmitter are located in the effective receiving distance and range, if they are located out of the range, the signal wouldn’t be received.